We would love to have you as a hospice volunteer! On your own time. In your own way. With your personality. Your ability to relate. Your own skills. Your way of solving a problem, sharing a story, helping somebody remember important moments in their lives. When you give us the precious gift of your time and interest, we give you a chance to make a real difference in someone’s life. We train you, find you the right assignment and stand behind you as you grow. 1. Patient Care Volunteers are part of a patient’s care team. 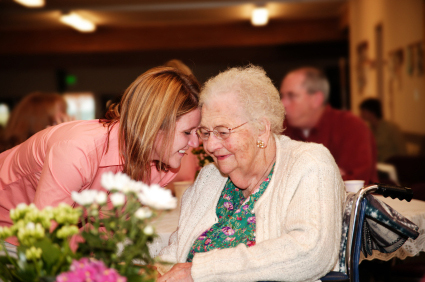 They make home visits to offer companionship for patients and relief for caregivers. Examples of patient care volunteer opportunities include reading to the patient, assisting with a hobby, listening, running errands, or grocery shopping. 2. Organizational Volunteers do not work directly with patients and families. Examples of organizational volunteer opportunities include work in Dierksen’s office to support our care team or help patients and families through indirect support, such as assisting with Dierksen’s Transitions program, creating special memories for holidays, patient birthdays and anniversaries, planting flowers or mowing a yard for a patient that is unable to continue doing so, and helping with other needs of our patients and families.